Your favorite M&M’S characters need your help. 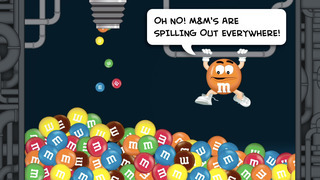 They are in the M&M’S factory and the candies are pouring out all over the place. 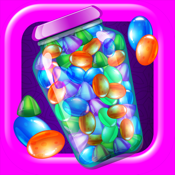 They need you to help them to guide the candies into the bags and prevent them from falling into the melty chocolate. 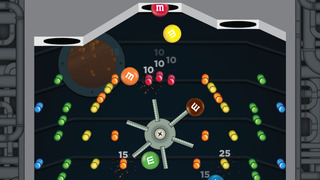 Using a set of tools that include elastic bands, conveyer belts, pinwheels and pipes, you have to set up a system to catch and direct the bouncing M&M’s Candies around the Factory obstacles. Every candy that is safely directed into the bag becomes a point scoring pinball as it bounces through the Pachinko pins to rack up points for your final report. So put on your hard hat and head in to the factory for lots of candy-coated fun. 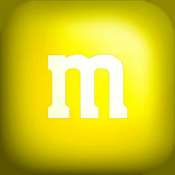 M&M’S Chocolate Factory app review: the best candies-based game app. M&M’S characters-based game can keep you entertained throughout the day. Is there anything better than chocolate? 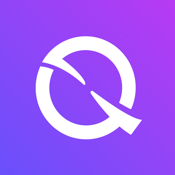 If you are a chocolate lover and just can't get enough of this heavenly food, then check out our list of the best chocolate apps for your iPhone.